The AFLS Guide is a teaching companion that contains task analyses, teaching suggestions, and prompting strategies that complement the AFLS corresponding protocols. 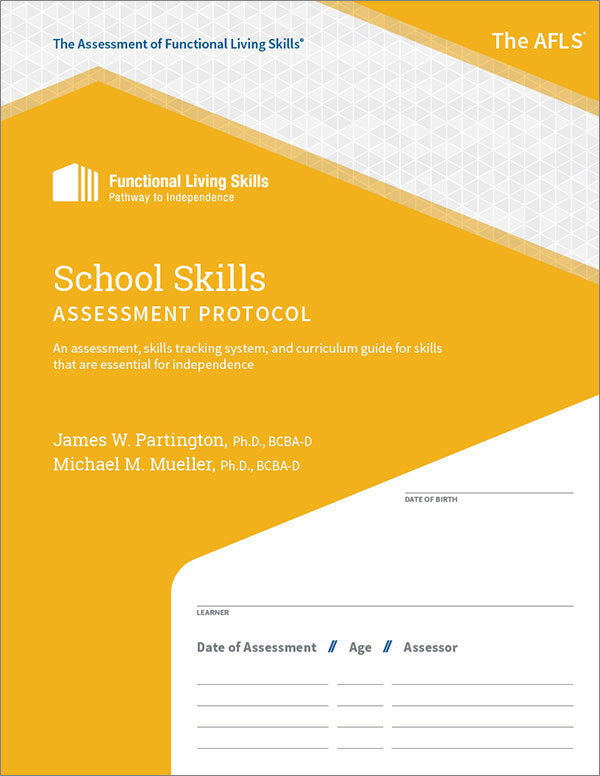 This valuable resource provides information about the features of the AFLS system – scoring, program development, and identifying goals and objectives while addressing the learner’s unique needs. The AFLS Guide serves as a critical component in conjunction with any of the six protocols. A learner’s ability becomes reality in the areas of functional, adaptive, self-help, and practical life skills necessary to thrive independently. The AFLS Guide is easy to use and appropriate for children, adolescents, and adults in all settings. Get your copy of the AFLS Guide and protocols today!